As Alaska’s largest city, Anchorage is located on the Cook Inlet, or the south-central part of the state. That said, the Anchorage real estate market is the most populous in all of Alaska and contains more than 40 percent of the state’s entire population. The city also serves as the gateway to nearby mountains (the Chugach, Kenai and Talkeetna) and vast wilderness. 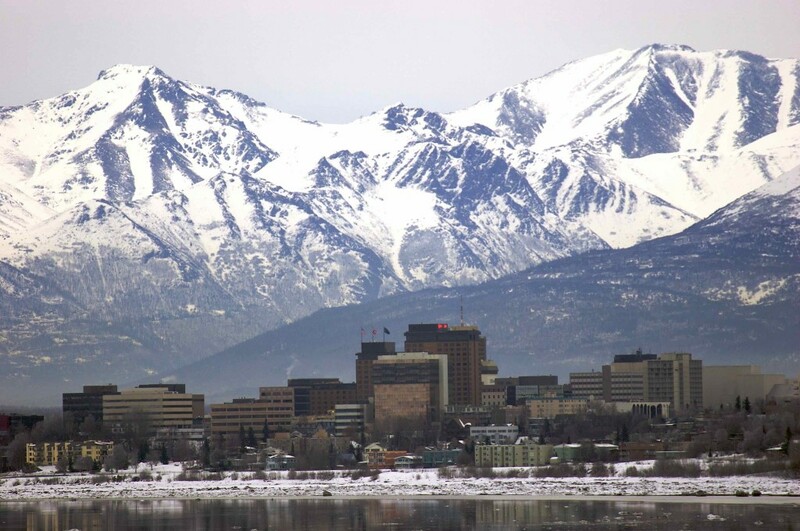 With its natural beauty and its ability to attract world-class mountaineers, Anchorage will continue to see an influx of people, despite its proximity to the other contiguous states. The Anchorage real estate market has an average home price of $397,190; which is well about the state average ($227,792) and the national average ($204,503). Prices in Anchorage have been trending up at an appreciation rate of 1.1 percent, and experts expect the modest gains to continue for the foreseeable future. Appreciation in the last few years has brought the average price per square foot to $172. Residential and commercial listings in the Anchorage housing market are only a part of the 174,245 properties and 3,556 homes for sale in the state. As a result, the average home price and average home value of Anchorage real estate also influence the average home price and average sale price of all of Alaska. Due to its large population, in relation to the rest of the state, Anchorage home values drastically increase the state average. At the moment, the Anchorage real estate market favors buyers. The supply of housing inventory exceeds demand. Buyers have the advantage over sellers due to the abundance of homes on the market, with homes often selling at reduced prices. Price drops are common as sellers compete to find buyers. The typical mortgage in the Anchorage housing market now rests around $2,264 a month. While the market is heavily in favor of buyers, rentals are as competitive as ever. Unlike listed homes, rental property inventory is very low. Demand for said properties, on the other hand, is very high. As a result, landlords have increased asking prices. Rent prices have increased by 4 percent over the past 3 months. This is same as the county average of $2,012 and 12 percent higher than the state average of $1,780. The rental market is really benefiting Anchorage real estate investing. Savvy landlords could collect an average of $2,013 a month in rent if they play their cards right. Of course, those interested in Anchorage real estate investing will appreciate the local distressed market. According to RealtyTrac, there are approximately 261 foreclosures in the Anchorage housing market. With 419 homes for sale, the ratio of distressed properties should peak the interest of the entire Anchorage real estate investing community. In fact, the amount of distressed properties in Anchorage increased 10 percent in the last month and 5 percent over the course of a year. Today’s distressed property market is comprised mainly of homes that are either in a state of pre-foreclosure, bank-owned or going to be sold at auction. Most are going to be sold at auction, and the Anchorage real estate investing community should find them as a great source of deals. However, 33.3 percent of the distressed market is in a state of pre-foreclosure. That means respective homeowners are at risk of going into foreclosure because they have failed to pay down mortgage obligations. The Anchorage real estate investing community may be more inclined to focus on these properties, as they can offer better spreads. According to RealtyTrac, the average sales price of a distressed property is $193,974. That is well below the actual average home value in the city. Not surprisingly, Alaska’s economy relies almost entirely on oil. According to this year’s economic forecast, Alaska is entering another period of oil price-related uncertainty. However, the forecast is just that: uncertain. For now, the Alaskan economy, and primarily Anchorage’s, is in a great spot. The region is currently benefiting from all-time record high employment, and the labor market is very tight. At 5.6 percent, Anchorage’s unemployment rate is in par with the national average (5.4%) and ahead of the state’s (7%). Surprisingly, Anchorage’s northern location on the globe places it within 10 hours (by air) of nearly 90 percent of the industrialized world. Its locale is, therefore, a common refueling stop for many international passenger flights and is home to a major FedEx hub. Like almost every other major metro, Alaska is not entirely out of the clear. Some concerns do surround the state’s economy. The cost of living in Anchorage is about $73,700; which is relatively high. At that rate, it is 14.2 percent more expensive to live in Anchorage than in any other city in Alaska. This could explain the modest drop in population over the last year. Despite its diverse economy, total employment growth is well below the national rate. While the Anchorage real estate market is generally in a good position, these things are worth keeping an eye on. For the most part, however, the city is in a stable position. Anchorage is, and will continue to be, the transportation gateway to the entire state of Alaska. A lot of traffic filters through the city, which supports the local economy. Experts expect the recent drop in population to correct itself and believe the population is in a good place to expand. For as far as Anchorage is from the contiguous states, it is doing very well on its own. The housing market will continue to be the focus of the entire state and home prices look to be stable. There is little to suggest that Anchorage will not continue to thrive in the coming years.